If you’re getting ready to start your own business, knowing these small business marketing statistics will help you know what you are getting yourself into, help you plan ahead and help you grow your business. According to the US Small Business Administration, there are nearly 30 million small businesses in the United States employing 47.8 percent of US workers. All of these small businesses have a big impact on the US economy through job creation, innovation, and economic impact. If you’re a small business owner, or you’re considering starting one, the first part of this article includes recent market studies and statistics with regards to small businesses. This “lay of the land,” so to speak, will provide you with an idea of what the current small business landscape looks like and help you decide on the best direction for your online business in the near future. In the second part of the article, we’ll cover everything you need to know to get started with digital marketing. The internet, combined with the wide use of mobile devices, has changed the small business landscape, so it’s important to learn how to navigate this new terrain so that your business stays ahead of the pack. The US Small Business Administration defines a small business as “an organization with fewer than 500 employees.” As such, this term encompasses a wide variety of business types, from freelance writers to bricks-and-mortar stalls, street food vendors, and growing multinational corporations. However, one- and two-person teams (known in the United States as sole proprietorships, partnerships, or non-employers) make up a majority of small businesses. These entities might be small, but they are mighty — most small businesses employ fewer than 100 employees, and in 2014, small businesses were responsible for creating 1.4 million net new jobs. The continuing fast pace of technological change will continue to transform the world of work as we know it. Some analysts predicting that half of the workforce to be freelancers by 2020. Increasing numbers of professionals desire for control over their employment, and this is contributing to freelance and small business growth. Recently, small businesses have added more new jobs than large businesses (500+ employees). Firms with 1-49 employees have contributed most to this growth. Microbusinesses (those that employ fewer than ten employees), despite declining in overall number since the 1970s, still make up 75.3% of private-sector employers. These companies employ 10.5% of all employees in the private sector. In 2015, businesses with less than $5 million in annual revenue experienced an average growth of 7.8% in sales. Past performance does not imply guaranteed future returns, but there is certainly a market for the offerings of small businesses. Indeed, many owners are optimistic about their businesses’ futures. Startups are a subcategory of small business. Ask ten people to define what a startup is, and you’ll get ten different answers, but you can think of it as a newly-formed small business that’s designed to grow quickly. 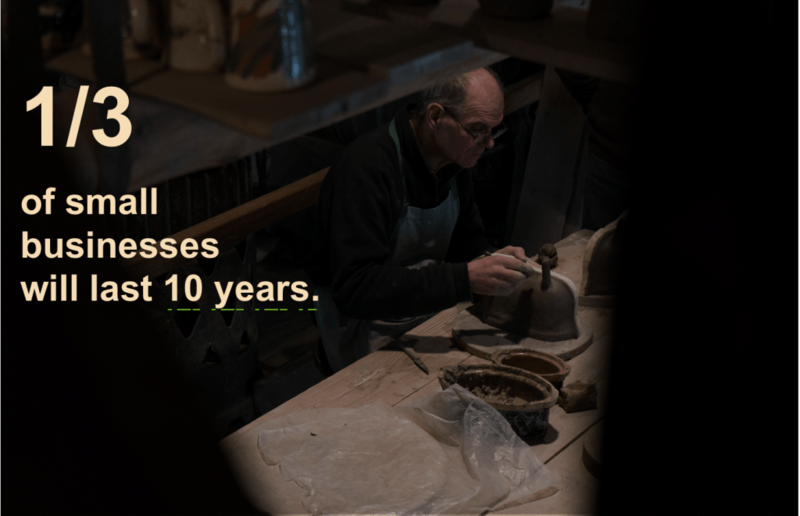 Half of small business owners are between 50 and 88 years of age. Two and a half million business owners are veterans of the armed forces. As you can see, anyone can be an owner of a startup! To make money, you have to spend money, and one source of this money is loans from banks. Depending on who you ask, the amount you need to start your business varies. 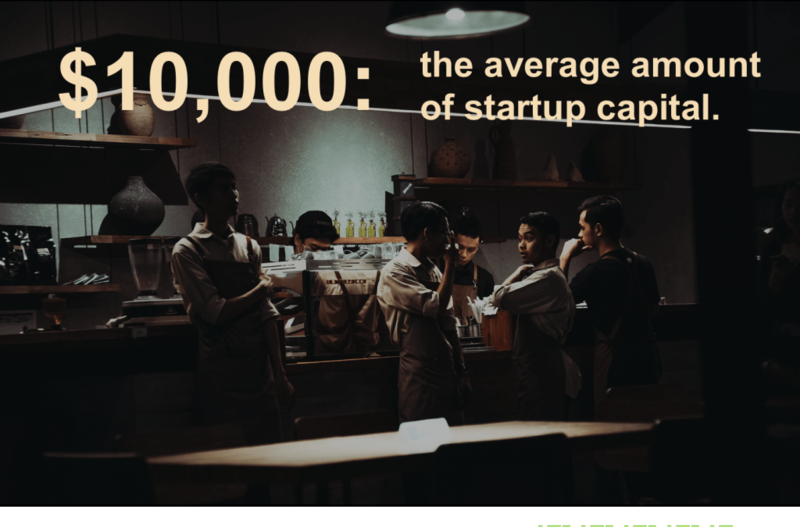 The Wells Fargo Small Business Index suggests that the average amount of startup capital is $10,000, while the Kauffman Firm Survey suggests that the average is closer to $80,000. Intuit, however, echoes Wells Fargo’s number and has found that most of that amount is self-funded. However, don’t let this number deter you. Small businesses, especially online ones, might need significantly less, and in some cases, you might not even need outside capital. For example, writers and editors looking to get started in freelancing might not need anything but the computer they already have. If you do find that you need financing, there are several options available to you, such as business loans and credit cards. There are also a lot of grant opportunities, especially for those typically underrepresented in the pool of small business owners, such as women and minorities. However, don’t discount loans from those you know personally, and don’t underestimate the power of sweat equity where you’re pulling yourself up by your bootstraps. The perks of owning your own small business are great: flexibility, freedom, and cultivating meaningful relationships with your clients are just a few of the perks. However, you need to eat and have bills to pay, so at the end of the day, what will your salary look like? 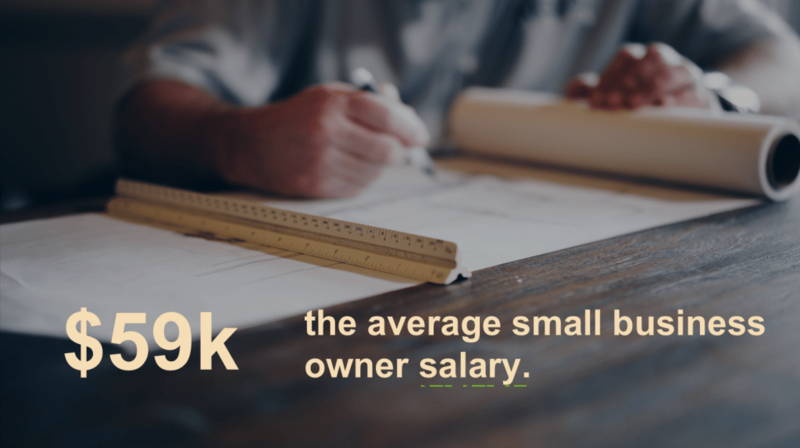 According to PayScale, the median income for a small business owner is around $59,000 per year, with most people falling into the range of $26,000 to $153,000. PayScale also says that geographic location has the largest influence on the owner’s income, so those in high cost-of-living areas need not resign themselves to eating peanuts should they set out on their own. However, owning a small business isn’t always a better option than working for someone else. Working harder and earning less seems to be the norm, but keep in mind that most love what they do — 92% don’t regret what they’ve done and 84% of small business owners say that would do it again. One major fear among those looking to start their own business (and probably a nagging fear in the back of most current owners’ minds) is the likelihood of a business failing. One-third of all businesses will survive at least ten years. Generally speaking, the longer that a business has been around, the more likely it is that it will continue to do so. The first few years seem to be the hardest. Additionally, it appears that these facts hold true regardless of which industry you’re in. Now that we know the likelihood that a given business will survive, what are the factors that make this likelihood go down? According to US Bank, 82% of business failures are due to issues with cash flow. Remember, this doesn’t mean just money coming in vs. money going out. It matters when this money comes in vs. when it needs to go out. For example, if you typically bill users of your tax software in April, yet your web hosting bill comes due in February, you’ll need to plan ahead for this. There are many ways you can stay on top of challenges related to cash flow. You can hire a bookkeeper or accountant, or you can use a software suite to keep track of things. The internet has changed the workforce quite a bit, and your business/industry is likely to be affected (even if you have a traditional, brick-and-mortar business). Think about it — do you know anyone who has never made a purchase online? How often do you hear people talk about their online research before they purchase something (even if they end up making the purchase in person)? Even if you don’t plan on conducting sales online, you’ll want to have a website where people can go for information about your business. As we will show, this belief goes against what the markets are saying. Even the smallest of businesses can benefit from an internet presence. However, we recognize that getting started can seem difficult. Despite the benefits that come from tailoring your digital business strategy to your target audience, doing so can be like wading a minefield, in terms of cybersecurity, marketing, and overall user experience. 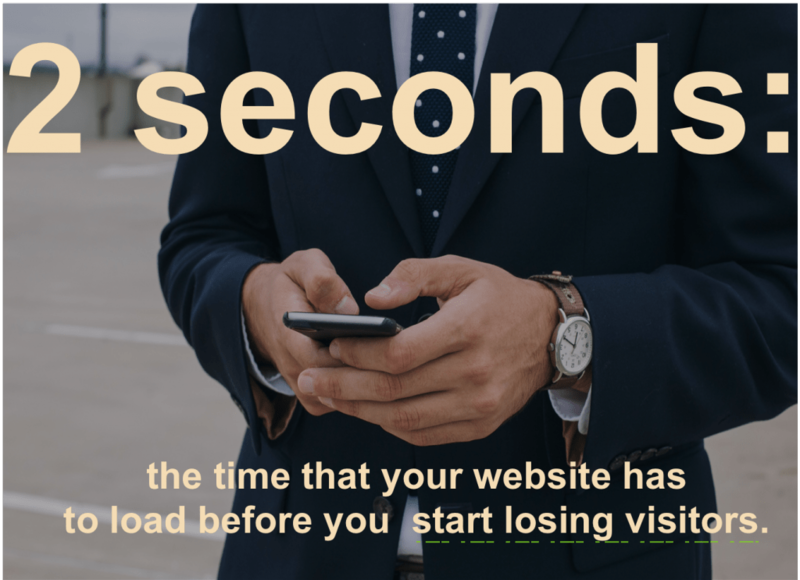 In 2017, a website should, ideally, load in 500 milliseconds, but your page load time should not exceed two seconds. 58% of mobile revenue comes from mobile websites, as opposed to native apps. Don’t discount visitors to your site who don’t make a purchase — these people typical hold back on ecommerce storeping due to security concerns. Regardless, 80% of smartphone users use mobile phones for shopping research, with 88% of all consumers referencing online reviews before making an in-person purchase. The large corporations tend to get a lot of media attention when it comes to issues regarding cybersecurity, but it turns out that hackers, more often than not, target small businesses. 43% of cyber attacks are aimed at small businesses, and unfortunately, only 14% are able to mitigate such risks effectively. This is partly because major corporations, with their deep pockets, can dedicate extensive resources to cybersecurity — this is certainly an advantage that not every business, especially smaller ones, can afford. 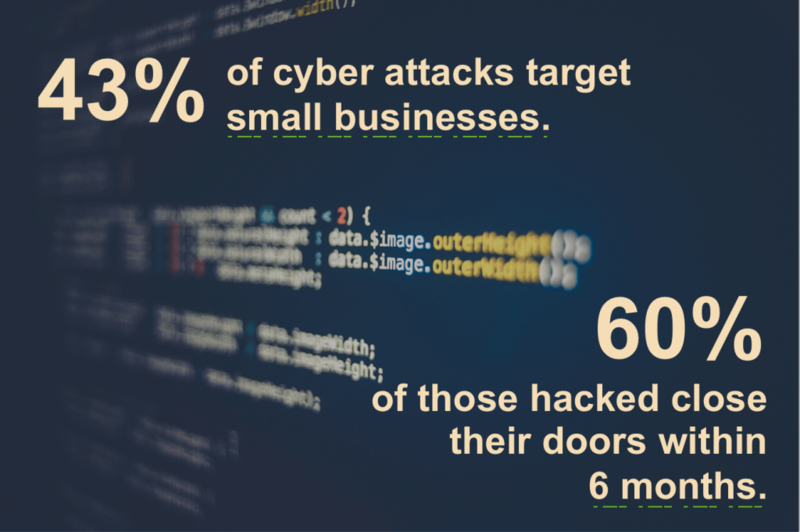 However, some small business owners do not take cyber security seriously. Being small is not protection against threats! It’s sometimes hard to quantify the impact of cybercrime since the results of these attacks range from being annoying to financially crippling. However, Symantec (most commonly known as the makers of Norton brand of security software) and BigCommerce, an e-commerce platform, have attempted to quantify the costs of such crime. Based on their data, the cost of a data breach to an online retailer is roughly $172 per impacted record. It’s no surprise that 60% of businesses go out of business within six months of a cyber attack. Question: How do you get the word out about your online business? However, just as the internet has changed the business landscape, the internet has changed the marketing landscape as well. Seventy-six percent of small business owners report facing marketing challenges, and with the rise of digital marketing, the field isn’t getting any less complex. Digital marketing done well can give you an unfair advantage over your competition. Many small businesses currently implement and execute their own digital marketing, but given the possible returns, it might be worth it to consider hiring professional assistance. Part of marketing is lead generation, and while this term can mean many things to many people, generally speaking, it is the process of attracting and converting prospects from those that have already expressed interested in your business. These leads may result from direct advertising spurred by one of your initiatives, but they can also occur organically. Sources of leads might include search engine results, personal referrals, telephone calls, and in-person events, such as industry-related conferences. Lead generation isn’t easy, especially since the best approach is to take multiple approaches — email, social, multi-device targets, and so on. Complicating this is the fact that engaging content requires you to focus on the customer experience and to provide a personalized experience. 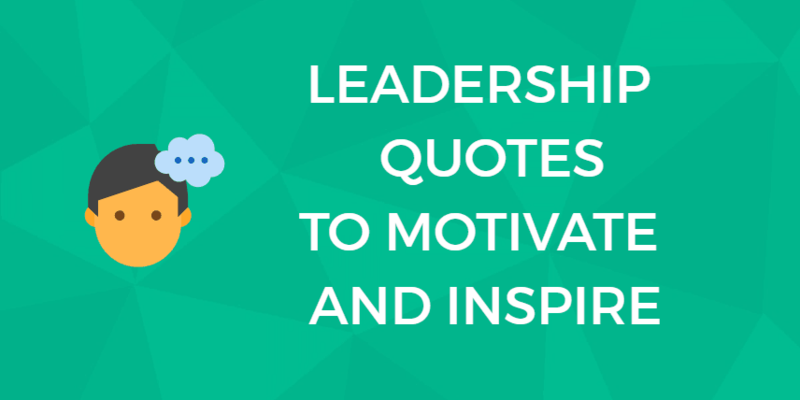 You can’t send the same generic message to all parties across all channels and expect success! One of the biggest things holding marketers back when it comes to lead generation is the lack of data. Forty-two percent of marketers think that the lack of quality data is their largest obstacle when it comes to implementing successful lead generation campaigns. This has lead to the rise of many tools designed to capture relevant data, such as new Google Analytics features or CRMs like SalesForce. There are also big data professionals who aim to help you separate the signal from the noise. Finally, over 70% of businesses that are currently using or planning to implement a marketing automation solution, which can be leveraged to carry out automated prospecting. Automated lead generation helps you generate lead data, capture contact details, and score your leads. Content is still king, and it is the fresh, customized, customer-centric content that gets the attention. Those that create more of it will certainly see positive returns for their efforts. Content marketing generates at least three times more leads than conventional marketing techniques. If you sell physical products, reviews, both from third-parties and existing customers can be powerful sources of leads. Social media is still your friend, especially if you partner with a social media influencer. Smartphones and tablets are ubiquitous nowadays, and more than ever, many are attached to their devices. One study found that 75% of its respondents admitted to taking their phones with them into the bathroom. Given the frequency with which people access the internet with their mobile devices (as a matter of fact, more people access the internet via a smartphone or a tablet than using a desktop/laptop), it’s obvious that mobile marketing is important if you want to reach a large portion of the population. Your specific mobile marketing strategy depends on the type of business you’re running, who your target audience is, and whether you need just an online presence or you’re trying to launch an online store. At the very least, you’ll need a website, preferably one that is responsive/mobile-friendly. However, to go above and beyond, remember that some expect mobile advertising to grow to represent 72% of digital ad spending. Furthermore, you’ll need to consider the nuances inherent with a mobile audience. For example, apps are important, and small businesses have responded. Nearly half of all small businesses say that they plan to launch mobile apps in spite of the high cost typically associated with app development. Finally, don’t think that a mobile app can’t help your business just because you run a brick-and-mortar store. 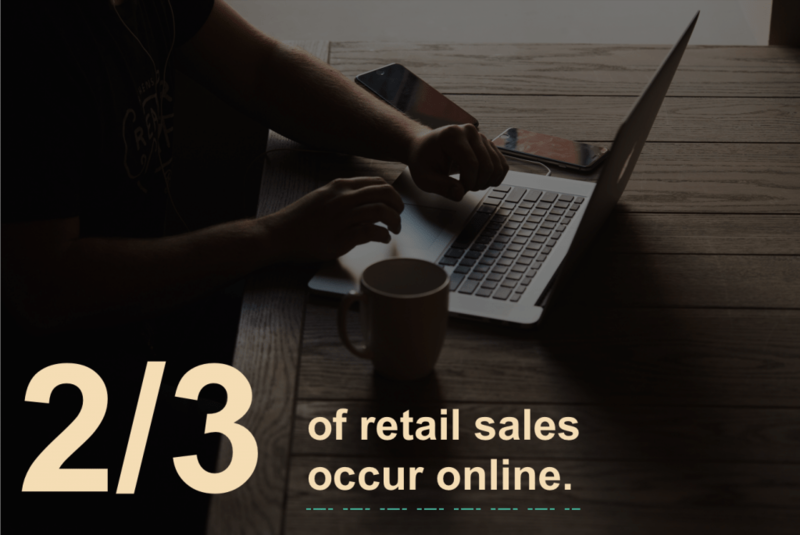 Fifty-six percent of survey respondents reported visiting a brick-and-mortar store after receiving a deal or offer on their mobile device when they were near the store. You’ve probably heard the buzz around search engine optimization (SEO) and pay-per-click (PPC) advertising. These are basic methods by which you can boost traffic to your website. SEO is the practice of building traffic for free by tweaking your website so that it ranks highly in search engine results — the higher your site is ranked, the more likely it is customers will click on the link to your site. PPC, alternatively, is where you pay for advertising space in the sponsored results section of the search engine’s results page. Whenever a visitor clicks through to your website, the search engine charges you a fee (which varies based on how competitive the search term the user used is). Spending in search engine marketing is expected to rise to $45.49 billion by 2019. What results are businesses getting? The first ad position on Google has a click through rate of 7.94%. It goes without saying that in the search engine arena, Google is king (and advertisers know this — 97% of Google’s overall revenue comes from its AdWords program). On average, Google processes over 40,000 search queries every second, which translates to over 3.5 billion searches per day and 1.2 trillion searches per year. Coming in second place is Bing, which gets about 4.48% of users. Finally, it’s important to remember, especially those running physical storefronts, that when users use their mobile devices to search for local business information, they usually intend to make a purchase. These searches are responsible for 300% more traffic sent to websites than social media. Despite the amount of money marketers are sinking into content marketing, one major they face is the increasing use of ad blockers. This use of ad blockers has resulted in nearly $22 billion of lost advertising revenue. Furthermore, certain types of ads are particularly ineffective — 54% of users actively avoid banner ads, while native ads fared much better. Given these statistics, what are the alternatives? Interestingly, despite the amount spent on content marketing, only 32% actually have a documented content marketing strategy, which means that a planned effort in this area is likely to yield higher returns. Here are some methods to consider. First, there are plenty of marketers and agency executives who see video as the next trend in content marketing. Second, is a refocusing on blogging. With all the hype surrounding social media and other digital marketing trends, don’t forget the more humble methods of engaging with your customer base! People love engaging with businesses in particular, and they tend to look positively on a company that releases custom content. One easy way to do this is via blogging. Remember though, that daily blogging is 25% more effective than monthly blogging, so be sure to plan accordingly. Over the long run, you can expect 87% more inbound links, compared to companies who don’t blog at all. The average office worker gets 121 emails per day and spends as much as 6.3 hours each day checking his personal and business messages. However, does quantity mean quantity, especially when we’re considering the effectiveness of email marketing? Well, yes and no. In general, two-thirds of all emails are ignored and never opened. When an email is opened, only 3.26% click through on links and follow through on the calls-to-action. In spite of these dismal-seeming numbers, however, companies see, on average, a 4300% return on their investments in email marketing. B2B marketers, in particular, say that email is their number one revenue-generating tool. When communicating with consumers, remember that most prefer e-mail over all other communication channels when interacting with brands and businesses. However, due to the skeptical nature of consumers, who think that one primary markers of a trustworthy seller is whether they have a professional email address or not, it’s important that you maintain a professional front when sending business-related emails. The sheer number of social media platforms can become overwhelming, but don’t neglect this aspect when you design your digital marketing portfolio. Most people have at least one social media account, and one-fifth of consumers reported that they’re influenced by social media recommendations. In 2015, only 13% of small businesses reported that they use social media for communicating with customers, but given the growth in spending by small business owners in this area, it’s clear that many are wising up to the fact that social media marketing is essential to business success. Facebook has been and continues to be the #1 social media platform in the world with, on average, 2.01 billion monthly active users and 1.32 billion daily users. Many businesses are taking advantage of this large population of users, and in 2016, spending on Facebook accounted for 45% of the growth in digital marketing spending. There’s a reason for this. With 40 million small businesses using Pages on Facebook, and 75% of brands using the social network to promote their posts, Facebook is still the way to go if you want to connect with a large audience. However, Facebook isn’t the only social network offering great investment return potential. Other popular platforms include Instagram, which has 500 million active monthly users and expects to bring in $2.81 billion in mobile ad revenues, and Twitter, where users expect to hear back from businesses within one hour, especially if their message was a complaint. One caveat: social media has, in some ways, upped the speed of communications, so you should expect to respond and interact early and often with your followers and users. 75% of B2B buyers and 84% of executive-level personnel use social media to help make purchasing decisions. If you’re one of the many small businesses that comprise a large segment of the economy (or you’re looking to join that number), there’s a lot that you need to know about what the current small business landscape looks like. It can be overwhelming to look at statistics for every aspect of a business, from survival rates to income and economic impact, but we think it’s important for every owner to have the facts at hand so that they can make the best possible decisions for themselves. This is especially true when it comes to growth and marketing. The arena of small business marketing is changing rapidly as technology disrupts the industry. Those who learn, innovate, and take advantage of these changes will see great benefits to their businesses. Photo credits: Mobile user photo by Maliha Mannan licensed under the Unsplash License. Code photo by Markus Spiske licensed under the Unsplash License. Craftsman photo by Thomas Hetzler licensed under the Unsplash License. Draftsman photo by Daniel McCullough licensed under the Unsplash License. Man at table with laptop by Parker Byrd licensed under the Unsplash License. Couple in coffee house by Jacob Ufkes licensed under the Unsplash License. Man in suit with mobile phone by Kait Loggins licensed under the Unsplash License. Girl with pink mobile phone by freestocks.org licensed under the Unsplash License. Google searcher by Benjamin Dada licensed under the Unsplash License. Couple collaborating over coffee by rawpixel.com licensed under the Unsplash License. Man with laptop by rawpixel.com licensed under the Unsplash License. Couple working by rawpixel.com licensed under the Unsplash License. 3 people working by Štefan Štefančík licensed under the Unsplash License. Let me know if it warrants inclusion – we would be honored! 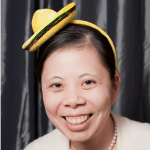 Previous: Here’s How Your Business Can Finally Sell Stuff To Big Name Companies.